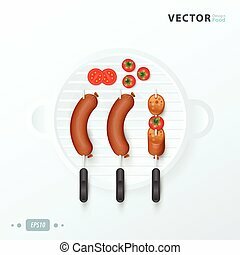 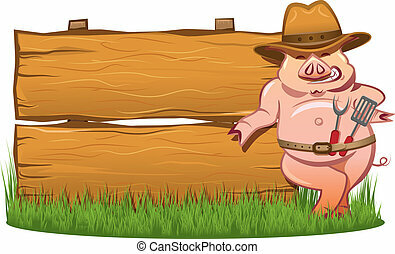 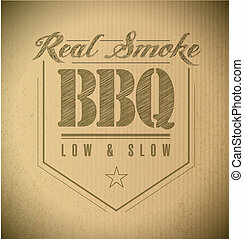 Barbecue vector illustration in flat design. 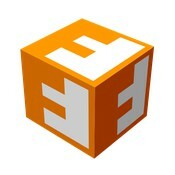 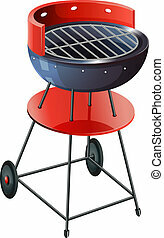 Grill icon isolated on white background. 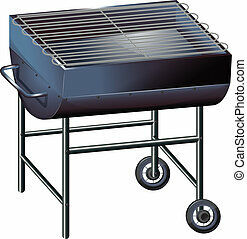 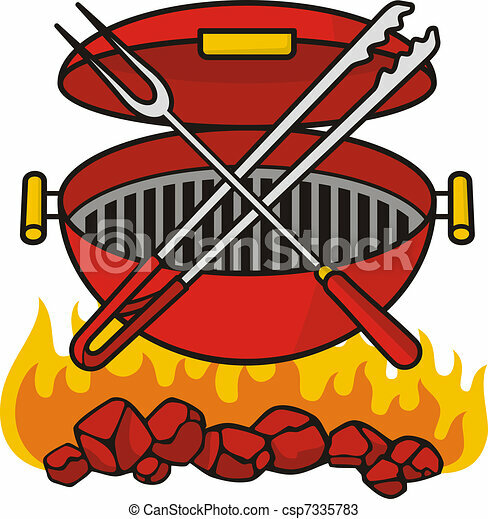 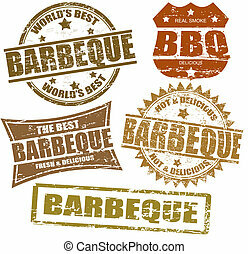 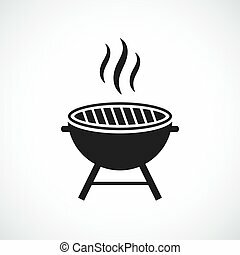 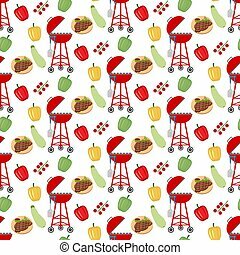 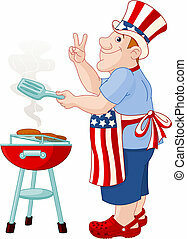 Red barbecue grill pictogram. 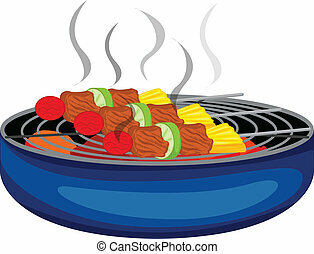 Outing or weekend picnic equipment.